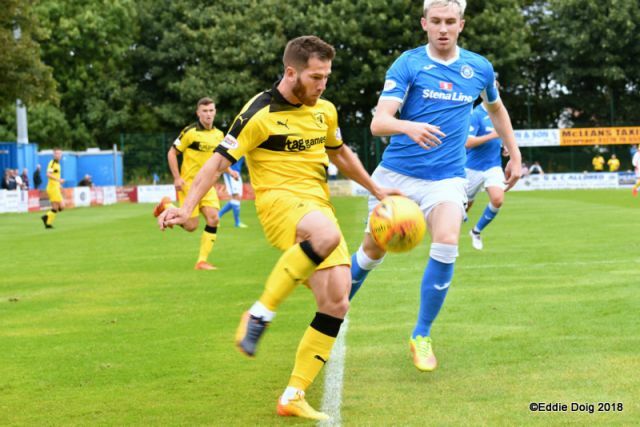 Raith Rovers League One season started with a draw against Stranraer at Stair Park this afternoon, with a first-half goal from Liam Buchanan cancelled out early in the second period from ex-Raith winger, Grant Anderson. 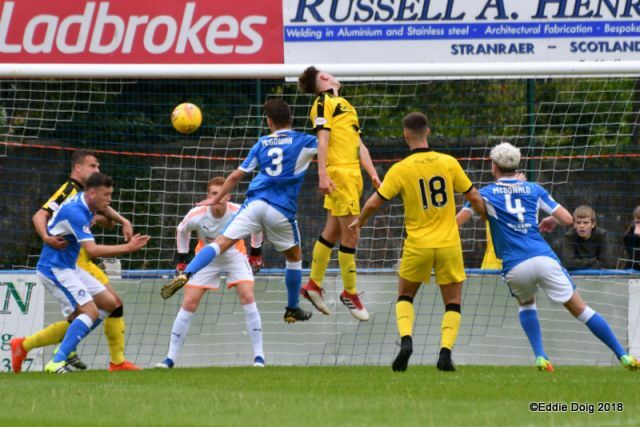 In a game of extremely few chances, Stranraer probably felt slightly aggrieved at not taking all three points, after holding territorial advantage for the vast majority of the second period, albeit new loanee goalkeeper, Kieran Wright was rarely threatened. 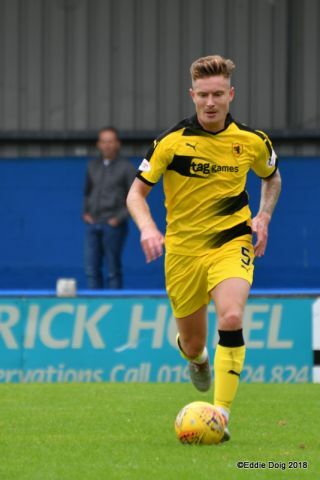 With Robbie Thomson unavailable through injury, Wright made his debut between the sticks, and with the squad depth at wafer thin levels, Barry Smith could only muster four substitutes, although Nathan Flanagan was one of them, taking his place alongside Lewis Milne and Ryan Stevenson as the only outfield subs. 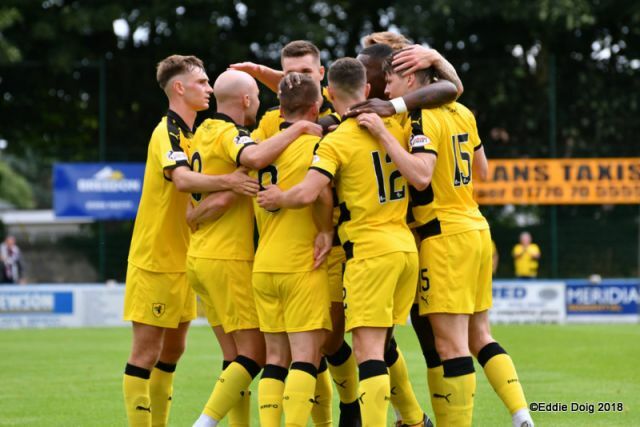 At the back, David McKay partnered Kyle Benedictus in the centre, while Grant Gillespie returned to the middle of the park alongside Nathaniel Wedderburn. 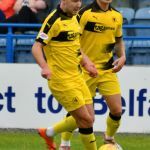 Chris Duggan missed out after hobbling off against Cove Rangers, leaving Kevin Nisbet to partner Liam Buchanan up front. 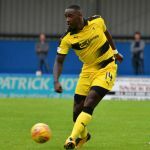 Considering Rovers track record with goalkeepers in recent years, there was a fright in the early moments, when a moment of slackness from Wedderburn in the centre of the park saw Anderson played through on goal, but while his initial shot was blocked by Benedictus, his follow through caught Wright, who looked like he’d taken a dull one, but after a few moments of recuperation, he was fine to continue. 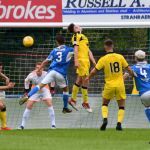 The opening phases of play were something of a scrappy affair, with a snap-shot from Mark Lamont, which was blootered high over the bar, the only attempt at goal other than Anderson’s chance in the opening quarter-of-an-hour. 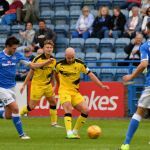 It had all been fairly lackadaisical from both teams in the opening half hour, with Rovers struggling to create even a half-chance, but they took the lead in the 31st minute, with a goal that was entirely of Stranarer’s, or rather Jamie Hamill’s doing. 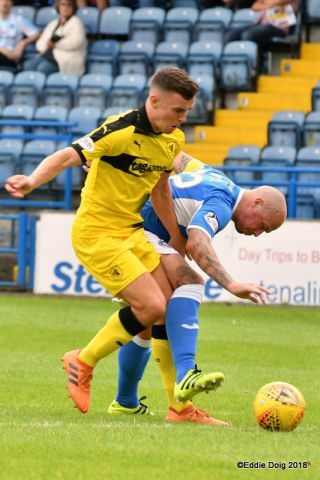 After initially preventing Ross Matthews from getting a shot away, the clearance should have been meat-and-drink for the ruddy-cheeked former Hearts man, but with his legs all tangled up like some cables behind a TV, he fell flat on his face, allowing Buchanan to nip in and send a low shot from close range past Max Currie to put Raith a goal to the good. 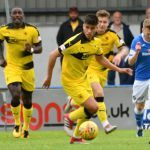 In truth, it was a goal that probably wasn’t warranted at that stage, but with the advantage, the hope was Rovers could relax and start to find a rhythm, and the rest of the opening 45 was played out fairly comfortably. 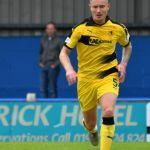 Stevie Farell would presumably have tasked his players with imposing themselves far more on the visitors in the second period, but their kick-off summed up their performance up to that point, with Luke Donnelly receiving the ball and immediately lashing it into the main stand, much to the fans chagrin. 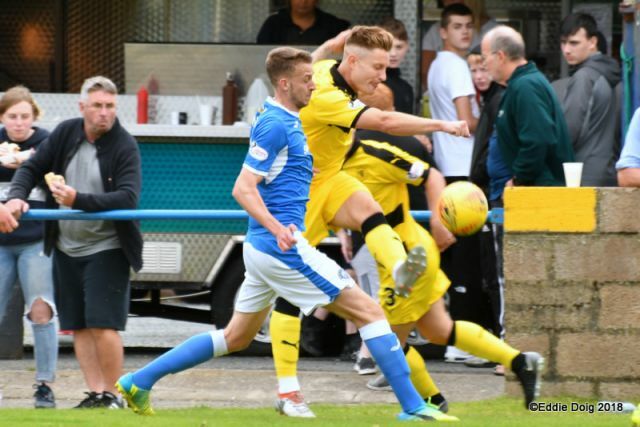 That start certainly wasn’t an indicator of how the second period would pan out though, with Stranraer looking far more buoyant in its early skirmishes. 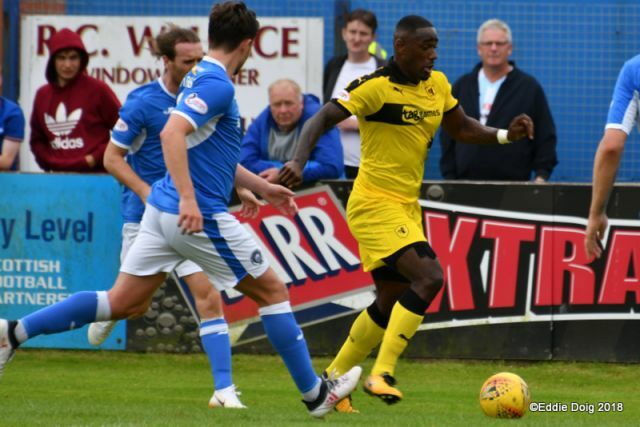 Anderson combined well with Donnelly on the left, and after the former Raith man was played through, his shot was blocked by Benedictus’ arm, although Raith had a let-off, with the far-side lineman flagging for offside. 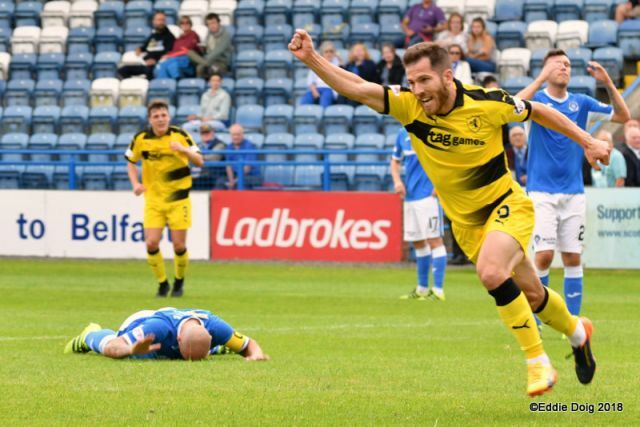 Stranraer only had to wait a moment later for their equaliser though, grabbing their equaliser in the 52nd minute. 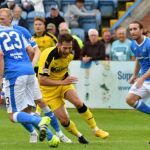 Anderson was again played through, and with Wright exposed and choosing to rush from goal, the Blues forward was able to skip past him and slot into an empty net, although only just, with the ball ricocheting off both posts before settling behind the line. 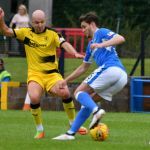 Rovers looked rattled, and while they still had a reasonable amount of possession, very little was coming from it. With a midfield quartet consisting of three defensive midfielders and a full-back, it was perhaps no surprise that creativity was at a premium, a situation that the home side were taking full advantage of. 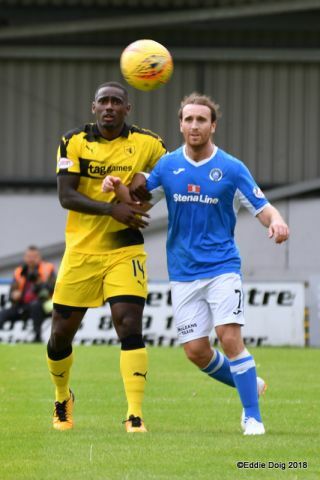 They were certainly exploiting Rovers right-hand flank, and they really should have taken the lead from there on the hour mark, when Chris McGowan’s cross found Lamont in the six-yard-area, but he was unable to warp his foot around the ball, succeeding only in side-footing it wide. 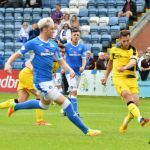 Hoping to force the issue, Smith replaced Buchanan with Lewis Milne, but Stranraer were looking the far likelier winner, and again Donnelly released Anderson down the left, but despite hitting the line and having time to pick out a cross, he could only lump it over everyone and out of play on the opposite touchline. 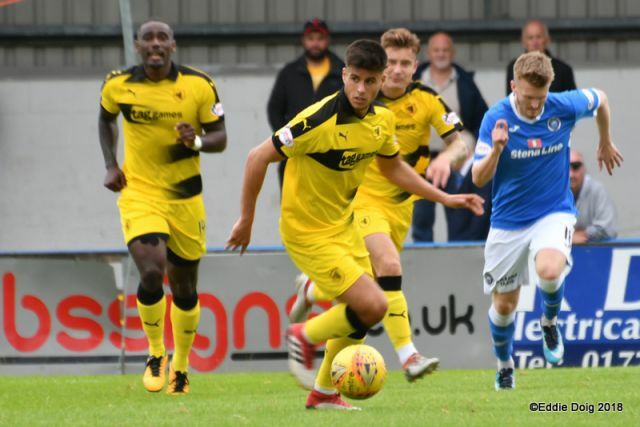 Flannagan came on to make his debut in the 73rd minute, and his introduction gave Rovers the width they’d sorely lacked all game. 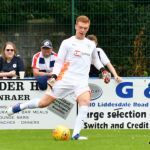 Currie was still essentially a spectator however, although he was called into action in the 85th minute, when Euan Murray tried his luck from distance, with a stinging drive which the ‘keeper held comfortably. 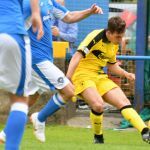 In the end, a point away from home for an injury ravaged squad may not seem the worst of results, but Barry Smith will be looking for far more incisiveness when his side face Stenousemuir at Stark’s Park in a week’s time. Welcome to Stair Park Stranraer, it's 20 degrees with a light breeze. 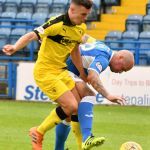 An early scare for Wright as he takes a kick in the face from Grant Anderson. Wright getting back on his feet to take the free kick. The game is being played between the two boxes. Buchanan on the prowl, lays off to Valentine whose cross is held by Currie. Wright comfortably comes out for a high ball from Lamont, showing no after affects from his earlier knock. 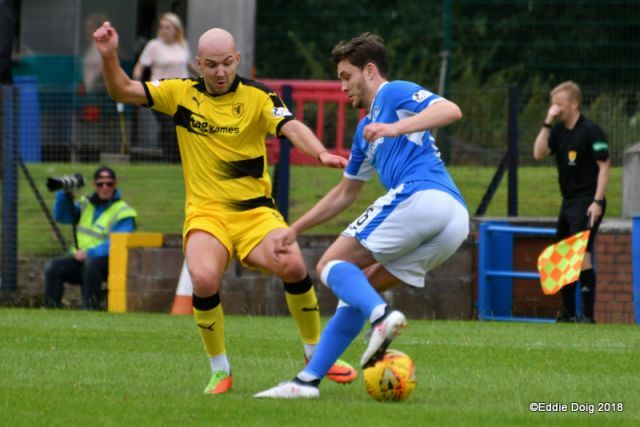 Rovers pressing high, looking for the breakthrough. Lamont with another high ball, again held by Wright. 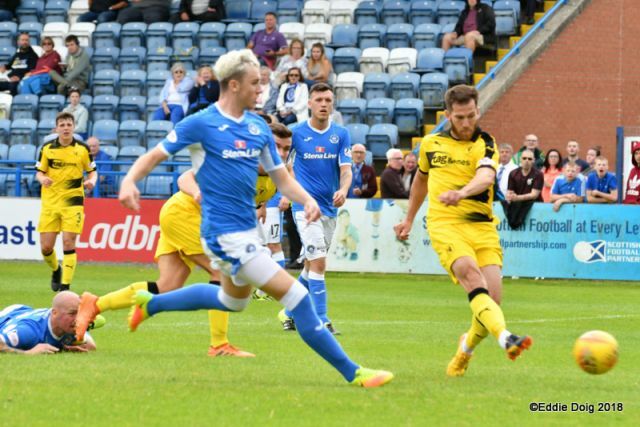 Wedderburn with a tame header from a free kick sees Currie collect with ease. Buchanan mops up after Matthews is grounded in the box, shooting home from 7 yards. Rovers edging the game with possession and may I say, flair. 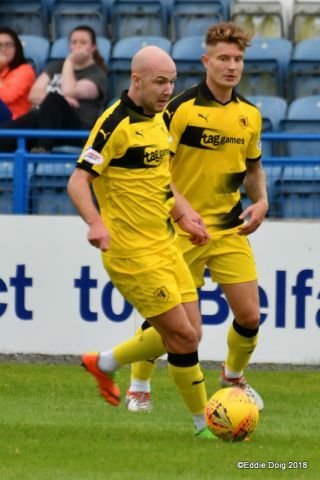 An early scare as Kyle Benedictus breaks up an attack by Anderson. Hamill and Nesbitt suffering heads knocks in a challenge, both players get up and play resumes. 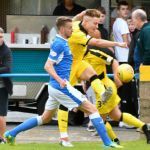 Grant Anderson takes advantage of a defensive error, skips past Wright hits the near post but the ball spun and went in at the back post. Benedictus yellow for unsporting behaviour. 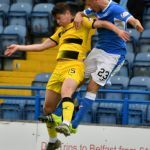 Euan Valentine gets up high but his header goes wide at the back post. 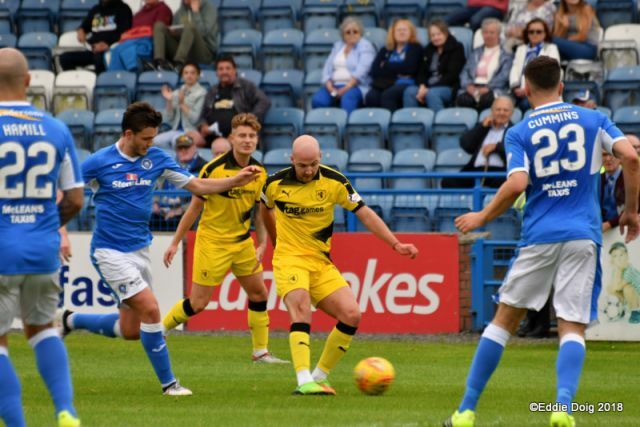 Jamie Hamill scoops a free kick way over the bar. 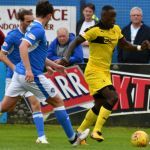 Wedderburn at the back post heads into the side net from a corner. 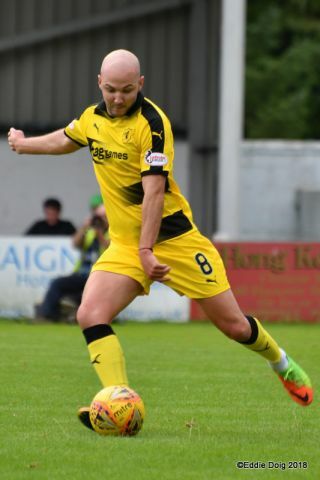 Cummings drives a header behind for a goal kick. Murray forcing a diving save by Currie with a shot from 25 yards. 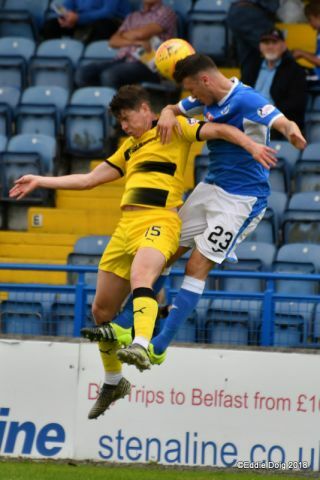 Flanagan has his shot blocked by McManus. Watson sends the ball high over the bar from 30 yards. Currie, Hamill, Cummins, McDonald, D Smith, McGowan, McManus, I Smith, Lamont, Donnelly, Anderson. Subs, Avci, Ashmore, Brownlie, Turner, Lidington. 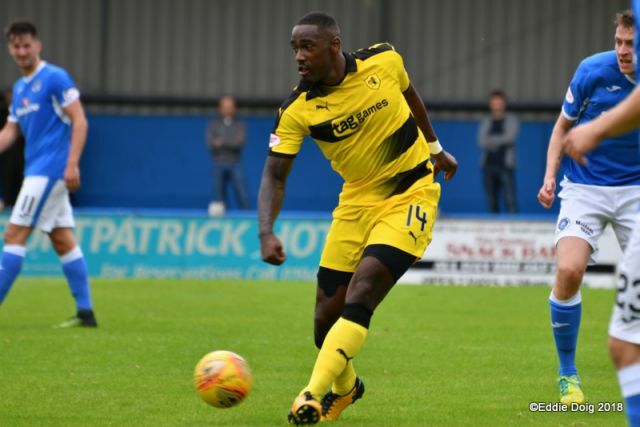 Wright, Watson, Valentine, Murray, Benedictus, Gillespie, Buchanan, Matthews, Wedderburn, Nisbet, McKay. Subs, McGuff, Milne, Flanagan, Stevenson. 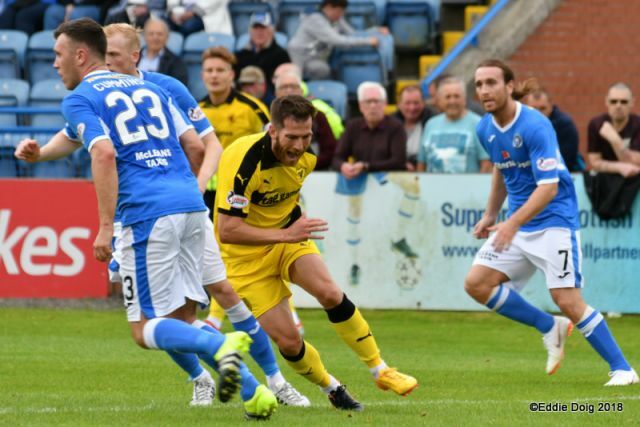 Raith Rovers League One season begins this weekend, with a trip to Stair Park to take on Stevie Farrell’s Stranraer. 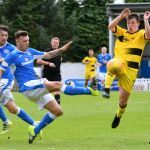 Like Barry Smith’s men, The Blues are going into the game on the back of a disappointing League Cup performance, finishing bottom of a group which contained Motherwell, Queen of the South, Edinburgh City and Clyde. 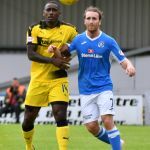 Stranraer’s early performances in Group G had given grounds for optimism, with a high scoring defeat to The Doonhamers, followed up by a penalty shoot-out victory over Motherwell, but subsequent defeats to Clyde and Edinburgh City, quashed any hopes of a second placed finish, and possible progression to the second round. 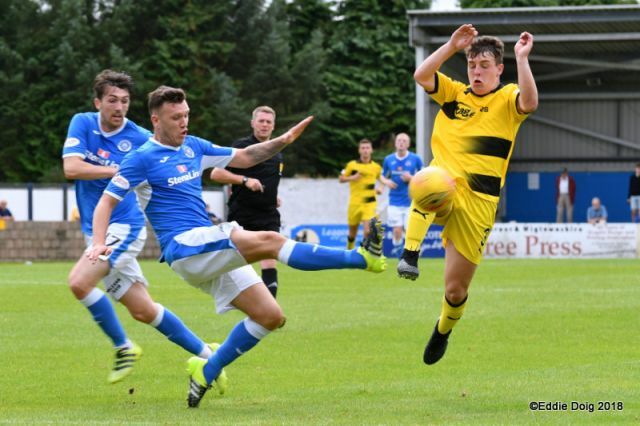 After their impressive end to the last campaign, following the club’s financial crisis which saw them unloading a number of big name players in January, Stranraer go into this season with a new look squad, which Steve Farrell will be hoping can challenge for the playoffs. 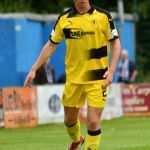 A whole new back four has been added, with ex-Rovers loanee, David Smith joining from Dumbarton, while Adam Cummins has been brought in from Queen’s Park, David Brownlie from Airdrie, and Andrew MacDonald was snapped up, after he left St. Mirren. 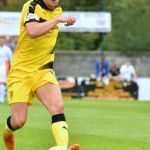 In midfield, East Fife were raided for Connor McManus and Mark Lamont, while Luke Donnelly has arrived after an impressive season at Queen’s Park. 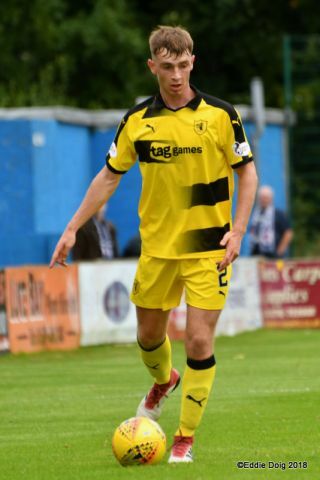 Up top, Isaac Layne has been added to the squad after leaving Brechin, and with only one recognised forward in the squad as it stands, they’ll be reliant on him as they look to finish above the mid-table position they finished in last term. 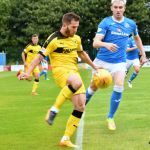 Rovers had a mixed record during their three visits to this venue last season, with the first meeting abandoned at 1-1 after a sodden park saw the game abandoned. 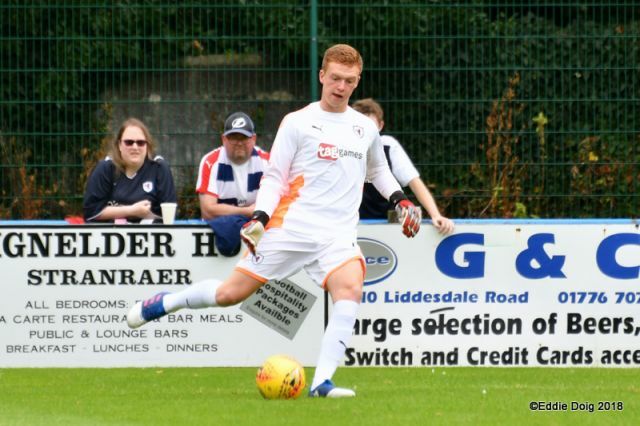 The replay was an even poorer experience however, with an Angus Beith goal handing the home side a 1-0 win, as Raith looked to stretch their advantage at the top of the table. 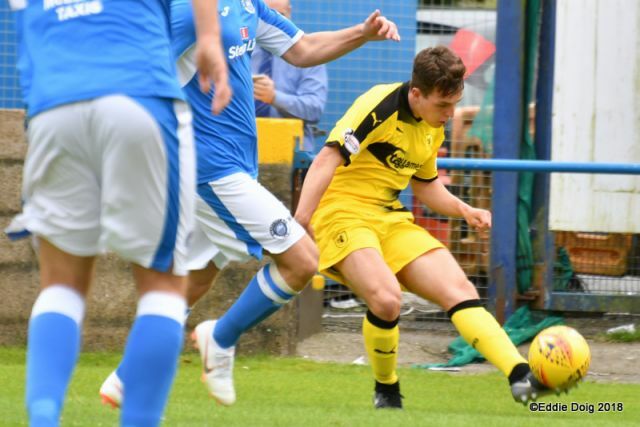 The final meeting was far better though, as Rovers turned in one of their best performances of the season, coming away with a 3-0 win, with goals from Euan Murray, Liam Buchanan and Lewis Vaughan. 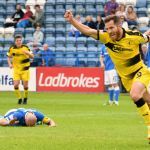 Raith have an excellent record in this fixture, with eight wins and a draw from their last ten meetings.